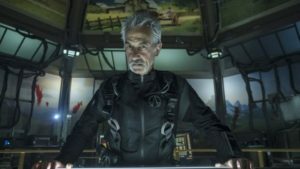 Just like that, season 3 of The Expanse has come to a close, and with the two-part finale – “Congregation” and “Abaddon’s Gate” – this amazing show delivered great episodes packed with action, character development, and one hell of a story. 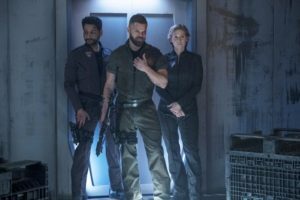 The Expanse truly is sci-fi TV at its best, and perhaps a large part of that is because it’s not just straight up sci-fi TV. It’s not even ‘just’ a space opera. It has mystery, it has [attempted] revenge, it has politics…really, it just happens to be set in space. And if you ask me, “Congregation” and “Abaddon’s Gate” were some of the best set-in-space TV episodes that have aired in a very, very long time. While season 3 has taken place in quite a few different locations (though to be fair, most of them were ships), in “Congregation” and “Abaddon’s Gate” everything came to a head on the Behemoth. While the Ring was attempting to destroy everyone in it, everyone in IT was attempting to destroy each other…although of course they all thought they were just doing what was best for the human race (or at least their part of it). While Ashford – and, let’s be real, Diogo – were extremely frustrating in these episodes, I found myself enjoying Anna and Amos even more than usual…particularly when they were on screen together. Don’t get me wrong, Amos clearly doesn’t really understand Anna (or maybe, rather, her way of thinking), but he also definitely respects her, and I loved his little protective moment when he told Anna that he wouldn’t let anything happen to her. I really hope they don’t just immediately part ways, because I’d love to see more of their interactions. Probably the most surprising part of “Congregation” and “Abaddon’s Gate” was Clarissa’s story. The finale began with her ‘in chains’, so to speak, and ended with her essentially saving the day – all because she happened to be in a holding cell close enough to Holden’s that she could hear his conversations with Drummer and Naomi and ‘Miller’. This seems like a pretty quick about-face (especially if you haven’t read the books), and was probably the weakest part of the episode, mostly because you saw Anna talking at Clarissa, and then you saw Clarissa listening in on Holden, but you never really got to see inside Clarissa’s head. Don’t get me wrong, I didn’t hate it – and to be honest I might even be nitpicking a little bit here – but that was a pretty big change of heart and I would have liked to have a better understanding of how and why she had it. Anyway, we now know that whatever civilization created the Ring was destroyed, and that when the Ring decided that the ships weren’t a threat, it led to all of the gates to the other worlds opening. 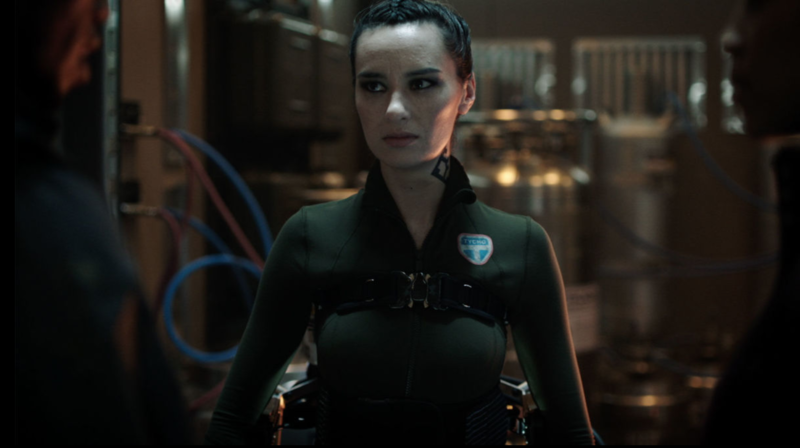 These gates opening also open up a lot of possibilities for the people who populate the world of The Expanse, but also a lot of problems…problems that I’m really looking forward to seeing this show and its characters tackle. 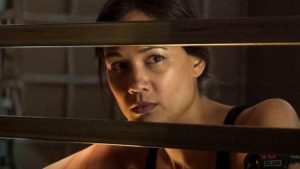 What did you think of The Expanse season 3 double finale of “Congregation” and “Abaddon’s Gate”? Let us know in the comments!